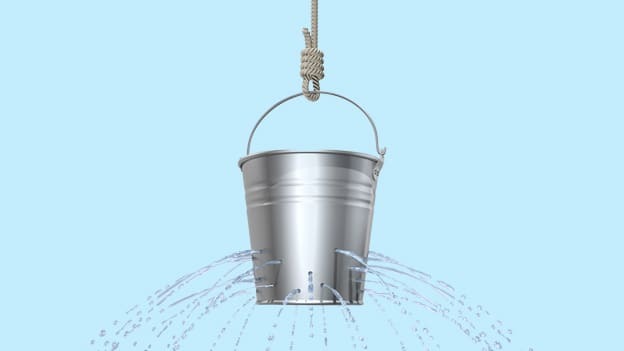 Article: Predicting employee attrition - Who will quit & when? Predicting employee attrition - Who will quit & when? Predicted risk scores for an employee, can help Recruitment teams to have suitable replacements on time and also prevent revenue leakage. Who will quit and when—the burning topic of every office’s grapevine! Irrespective of our nature of job, industry that we work for, the levels we work at, we all tend to contribute to this discussion with limited insight of the issue. Well, why do employees leave the organization? The reasons could be salary, health issue, career growth, work location, or motivation. These reasons may vary from organization to organization and from employee to employee. Now, the questions here are, Can attrition be prevented? How can one gauge the signs of flight risk long before a high performer starts looking for a new position? Is there a trend, any symptoms? The answer is YES. Diving deeper into the issue indicates that the employee-organization disconnect is not an overnight phenomenon. It starts long before an employee decides to quit. A systematic analysis of the same will definitely throw light on unforeseen factors enabling you to predict attrition. The ability to predict – Which employee will quit the organization, will help organizations in developing and improving retention strategies. We were challenged with a similar kind of situation at Genpact Analytics & Research. To deal with the situation, we were required to predict employee attrition rate and the time interval during which an employee has the highest propensity to quit. As we started to devise solutions to handle the challenge, we realized the importance and power of Predictive analytics. In order to predict attrition, we started collating different data points at an employee-level, which may or may not directly affect attrition. After data cleansing, we worked on several statistical model iterations and finally decided to use Survival Analysis: Cox-proportional hazard model to predict attrition and identify the time interval when it is more likely to happen. Using Cox-proportional model, we could classify employees into attrite and non-attrite class (with 80% accuracy). The Cox model is beneficial to both the Retention and Recruitment Teams, along with predicting attrition rate it helps Operations Mangers and the HR department build retention strategies well in advance and eventually minimize the risk of employee turnover. Predicted risk scores for an employee, can help Recruitment teams to have suitable replacements on time and also prevent revenue leakage. The power of analytics is thus proven; it can do wonders when implemented in varied Human Resource actions. “For the HR function to thrive and add value in today's new world of work, we have to be bold in our thinking, imbibe new technologies and strategies at work, along with redesigning what we do with the power of analytics” - says Sidhartha Shishoo, VP, Human Resource. Praful leads HR Analytics function for Genpact.